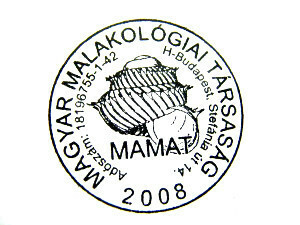 The Hungarian Malacology Society (MAMAT) was founded in 2008 with the aim of gathering those who are interested in the molluscs. We support the education of malacological knowledge, the research of malacological branches, nevertheless, we embrace those for whom malacology is not more than a simple collecting passion. One forum of this is our magazine called Soosiana. The MAMAT has been a member of UNITAS MALACOLOGICA world organization since its foundation.